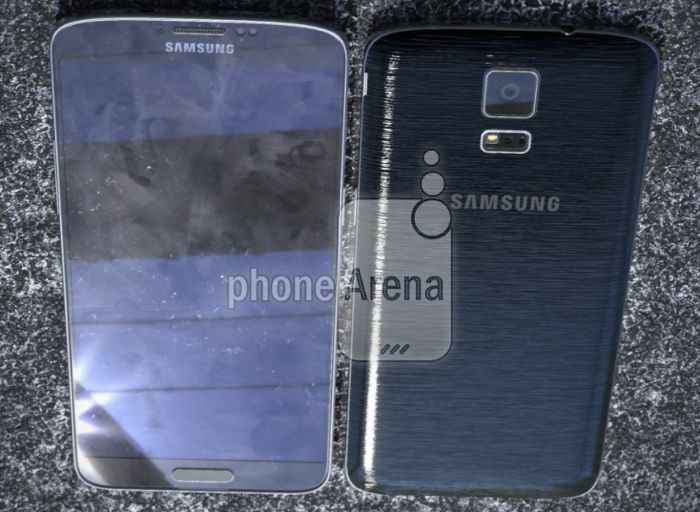 We have already seen a number of photos of the new Samsung Galaxy F, the device was previous known as the Samsung Galaxy S5 Prime. 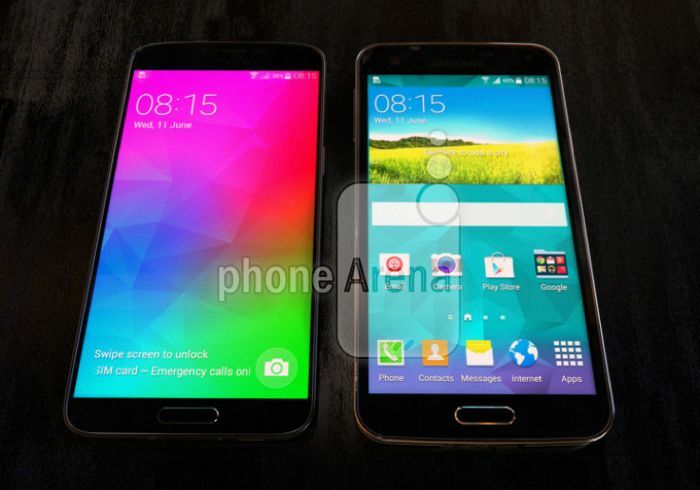 Now we have some new photos of the Galaxy F, and this time the device is photographed next to the Samsung Galaxy S5. The new Galaxy F is a premium version of the S5 with higher specifications and a metal casing. What we know so far is that the Samsung Galaxy F will get an updated display over the S5, and it is said to feature a 5.1 inch QHD display with a resolution of 2560 x 1440 pixels. The handset will also come with a faster processor, in the form of a quad core Qualcomm Snapdragon 805 processor, no details on the exact clock speed as yet, although it is expected to be 2.5GHz. The new Samsung Galaxy F will also come with 3GB of RAM and will feature improved graphics with an Adreno 420 GPU, the handset will also come with 32GB of storage and a microSD card slot. The Galaxy F is expected to feature the same cameras as the S5, which will include a 2.1 megapixel front facing camera and a 16 megapixel rear camera. The device is also expected to come with Android 4.4 Kit Kat, as yet we are not sure when it will launch. Samsung are holding a press event today for the Samsung Galaxy Tab S, you never know the device may appear at the event.